In a month where you can find sweet, dribbly nectarines and burstingly juicy tomatoes pretty much everywhere, you might not be jonesing for zucchini. And considering you can pile those nectarines into a bowl of yogurt, or put some of those tomatoes on your morning toast, you're definitely not seeking a way to eat zucchini for breakfast. Convincing you that that's a good idea would be a heavy lift. And yet here I am, peddling a breakfast item pretty much loaded with summer squash. You must think the heat's gotten to me. But I'm willing to bet at least half of you skip breakfast altogether, and a good many more - not that I know anyone in this category coughwifecough - eat those insipid, playdough-textured nutrition bars for morning meals. So here's my opening salvo: don't do that. As Sam Sifton said, "A mere 15 minutes stolen from sleep can bring stylishness to the morning, along with a feeling that the day is filled with promise rather than recrimination. Do it once, and it’s hard. Do it three times in a week, and it’s a habit." Never is that more true - or less burdensome - than when the cooking happens in advance. So, about these muffins. I'm always looking for ways to use up oversized summer squash; an easy way is to grate them into baked goods (and fritters, and frittatas, and all manner of other things). 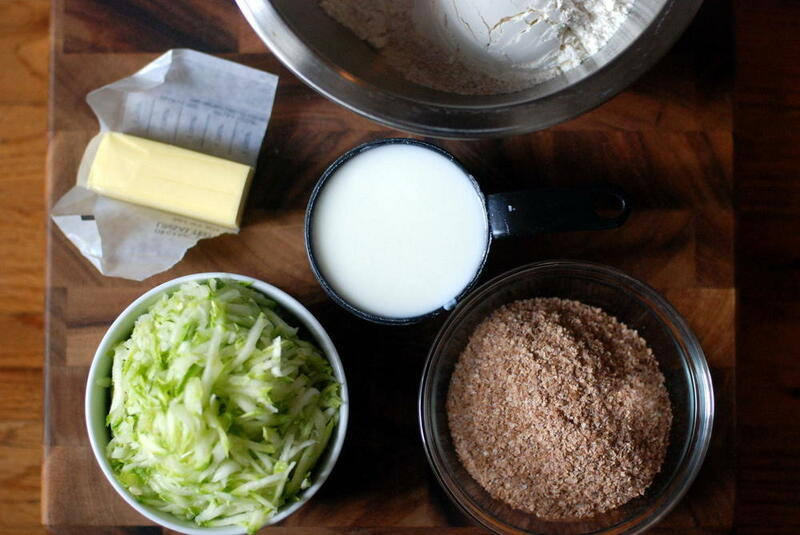 By now, you have a recipe for zucchini bread. (You don't? Let me fix that. Let me fix that again.) Muffins are the next logical step. The zucchini are moist enough that they can stand up to a dry mix that includes some bran flour, which I added to win over the fiber fanatics among you. As for currants, they're like raisins, but better. Am I right? Use the latter if that's what you have. I'm in a don't-sweat-it mood. Whatever you do, please - if only so I stop worrying about you - don't skip breakfast. When you get to the office on a Monday morning and the sun is shining and the HVAC isn't working and you're pretty much drenched in your own sweat, you'll be thankful that sustenance, at least, is taken care of. Preheat the oven to 350 degrees and line or grease a 12-cup muffin tin. In a medium bowl, combine wheat bran, flour(s), baking soda, cinnamon, and salt. Set aside. 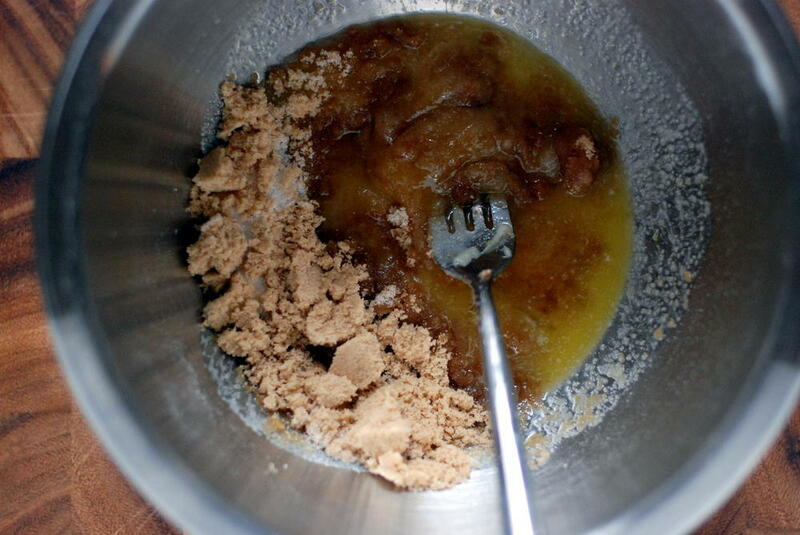 Combine sugars and butter in a mixing bowl and whisk until fully combined. Add eggs one at a time, mixing well after each addition. Add buttermilk or yogurt, and mix until mostly combined. Add zucchini and mix to combine. Add flour mixture, and use several long, forceful strokes to combine the flour into the wet mixture. It's okay if there are some lumps. Add the currants, and give a few more firm strokes, just until any streaks of flour disappear and currants are evenly distributed. 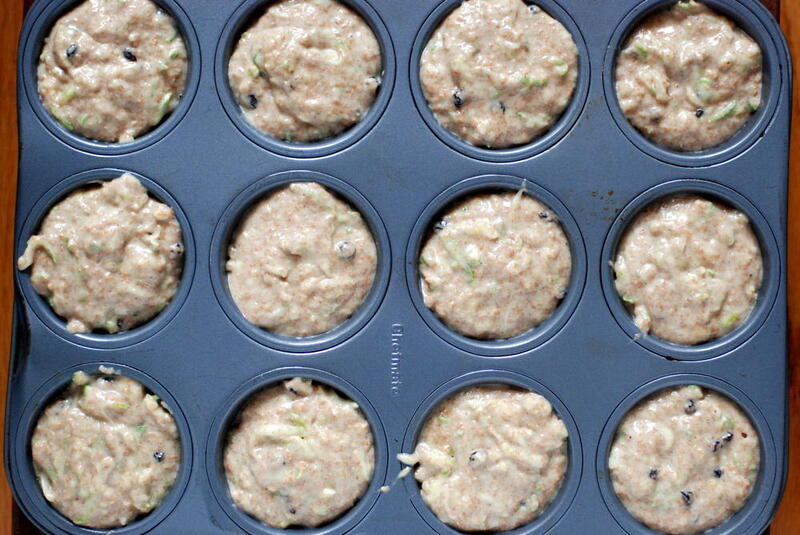 Scoop the batter into the muffin tin using a 1/3-cup measure. Bake for 25-28 minutes, until the tops are golden brown. Let cool for 5 minutes, then serve warm or at room temperature.